Advanced Certification SCUBA Class | Mac's Sport Inc.
Take your diving to the next level with training in 4 SSI Specialties. 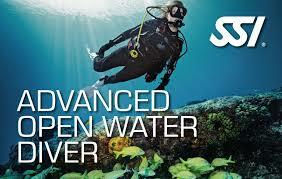 Deep-This program provides the skills and concepts required to safely and comfortable dive beyond 60ft. Perfect Buoyancy– This program teaches you the skills and concepts required to improve your diving position, increase your buoyancy control, and minimize your breathing gas consumption rate. Night/Limited Visibility– This program provides the skills and concepts required to safely and comfortably dive at night or in limited visibility conditions. Navigation-This program provides the skills and concepts required to safely and comfortably navigate underwater during a dive.